The New York Fashion Week was the best thing ever happen to all fashion freaks. It had all the wide collection of clothes, accessories, etc which are going to make a mark in the upcoming spring.It gave the top trends which stood out in the New York Fashion Week that's from blazing hues of orange to baring your midriff. All the brands present their best innovations and designs in front of the fashion tycoons and also being appreciated by them.From blazing hues of orange to baring your midriff, we give you the top trends which stood out in the New York Fashion Week. All the brands present their best innovations and designs in front of the fashion tycoons and also being appreciated by them. The New York Fashion Week was the best thing ever happen to all fashion freaks. It had all the wide collection of clothes, accessories, etc which are going to make a mark in the upcoming spring. 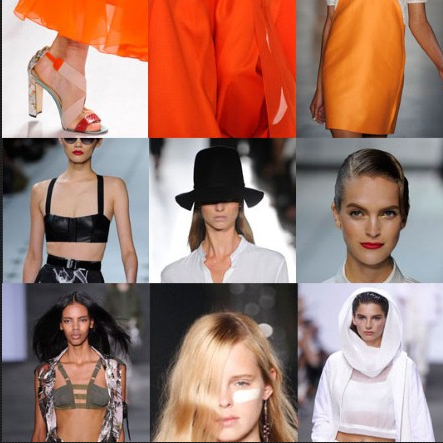 It gave the top trends which stood out in the New York Fashion Week that’s from blazing hues of orange to baring your midriff. All the brands present their best innovations and designs in front of the fashion tycoons and also being appreciated by them. 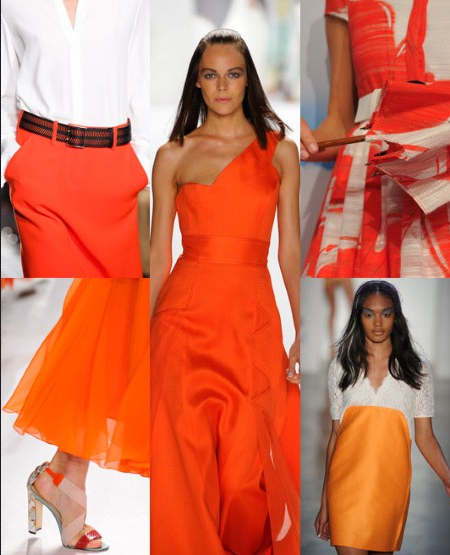 Brilliant orange was the choice of color for NYC. Its was bold and bright, everywhere you see. Clockwise from top left: Victoria Beckham, Carolina Herrera, Alice + Olivia and Peter Som. 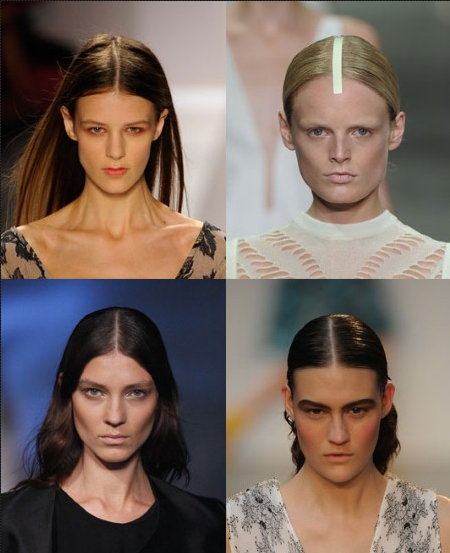 The centre parting is the ultimate hair do for summer/spring 13’s ultimate hair-do, and an easy one to master. 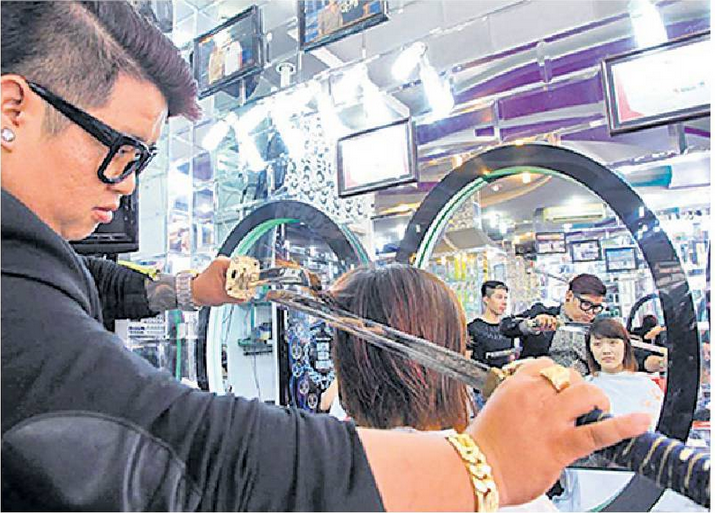 Just keep it slick and straight. Clockwise from top left: Jill Stuart, Alexander Wang, Thakoon and Prabal Gurung. Muted floral’s designers kept their patterns sweet and subtle as they found their way down the New York runways. 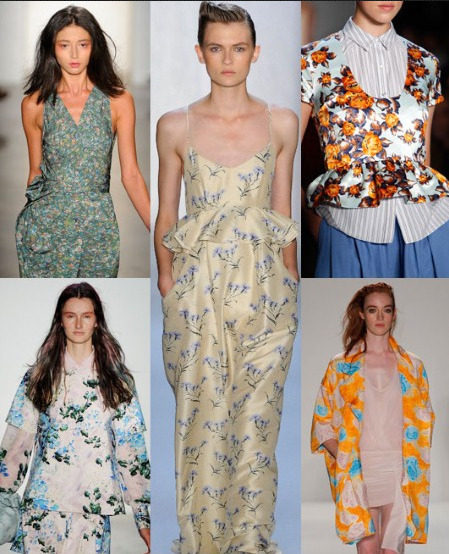 Clockwise from top left: Costello, Suno, Tracy Reese and Peter Som. 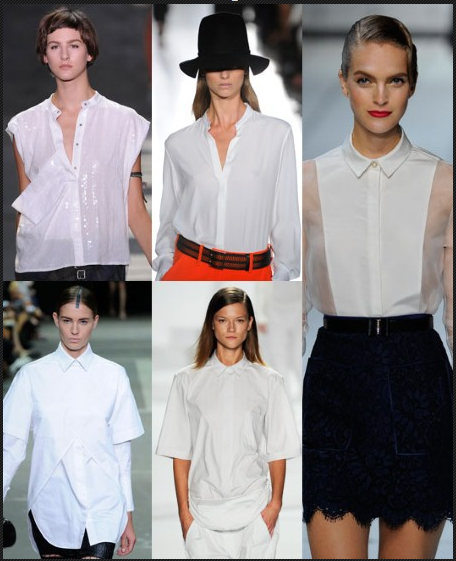 The crisp white shirts littered the summer/ spring 2013 catwalks. From Alexander Wang’s surgical creations to Victoria’s grown-up classics, this trend is capable to taking you effortlessly from day to night. Clockwise from top left: Edun, Victoria Beckham, Jason Wu, Alexander Wang and Lacoste. 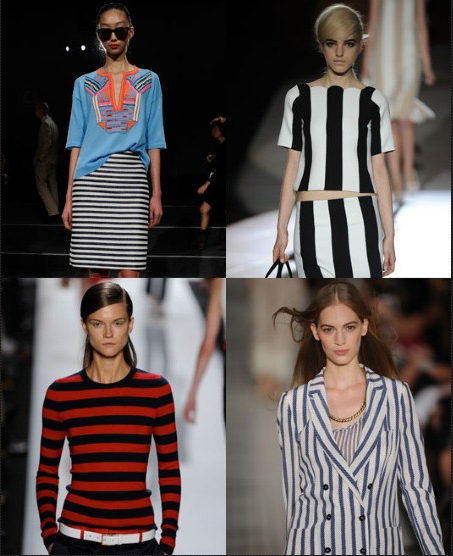 In New York, stripes went both ways, and in all colors. Clockwise from top left: J.Crew, Marc Jacobs, Tommy Hilfiger and Michael Kors. Look out for bare midriffs in summer/ spring,and we hope it will be warm enough to rock this trend. Clockwise from top left: Edun, Band Of Outsiders, Rag & Bone, Charlotte Ronson, Jason Wu, Alexander Wang and Jill Stuart. The relaxed silhouettes are the slouchy chic for Spring and it will be the fashion pack’s favorite shape next year. 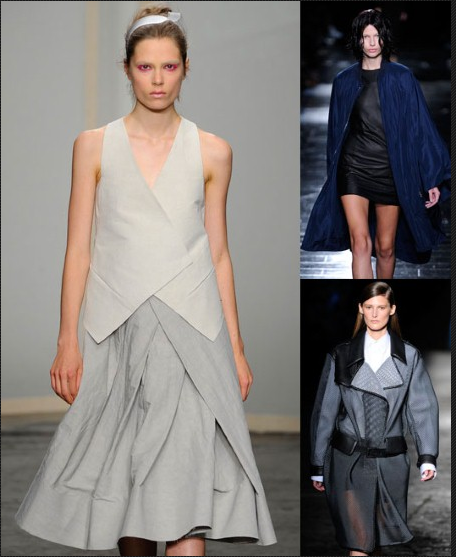 Clockwise from top left: Donna Karan, Theyskens’ Theory and Diesel. 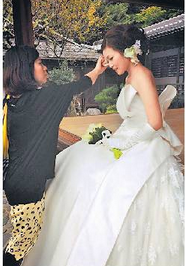 Thanks to an abundance of beautiful flats, now walking on the runway will be very much easier in New York. Clockwise from top left: Carolina Herrera, Ruffian, Marc Jacobs, Tory Burch and Victoria Beckham. 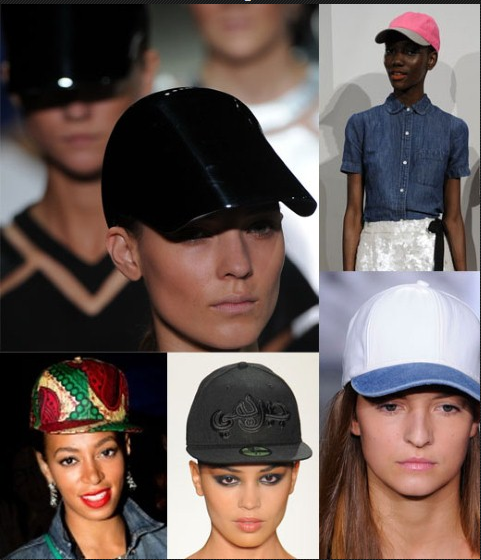 This fashion week we get the fabulous baseball caps. The baseball cap is the ultimate nonchalant accessory and get all the variety from Alexander Wang’s super-shiny visor-style to DKNY’s crisp cotton versions. You just have to chose your fabric and scream ‘ghetto fabulous’ or ‘slightly sporty’. Clockwise from top left: Alexander Wang, J.Crew, DKNY, Jeremy Scott, Solange Knowles.